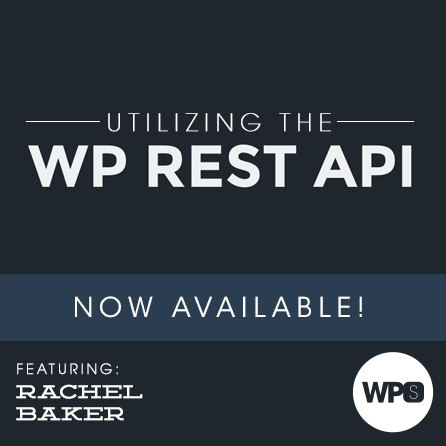 Get the inside scoop on how you can begin utilizing the WP REST API today from Rachel Baker, one of API’s key architects. Throughout this presentation Rachel will teach us how to leverage the WP REST API for a multitude of different projects. We’ll start with installing and activation the API itself (and important place to begin), and cover some of the caveats that go along with running an API from a publicly-accessible server. From here we’ll look at what kinds of data are available to you and how you can access them, both from your own site and from any other site with the API enabled. Once we know how to interact with the core API methods we’re going to dive in to manipulating and extending the data that they return. Maybe you need a bit more information about a post… maybe you want to provide a bit less. Good news, there are hooks for that! After that we’ll look at creating our own custom endpoints. The REST API has been specifically written (and re-written) with extensibility in mind. By the end of this presentation you’ll have enough working knowledge of the WP REST API that you’ll be able to immediately begin using it across any of your WordPress projects. This session pairs remarkably well with our Building Mobile Apps with WordPress session.